7 days 6 nights safari from Nairobi or Mombasa to Nairobi. All safaris can be adjusted . length of the safari can be changed departure times, parks etc.. 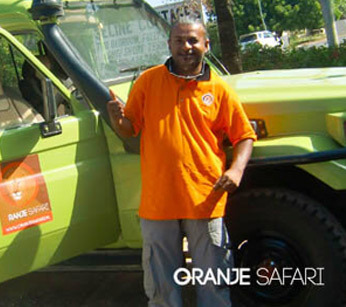 Personal service is verry important for us we will assist you in the best way possible to create an amazing safari ! Depart early in the morning at 0630hrs after early breakfast or take packed breakfast and drive to Tsavo west the drive will take approximately 4 hrs and 30 minutes. Game drive in Tsavo west. 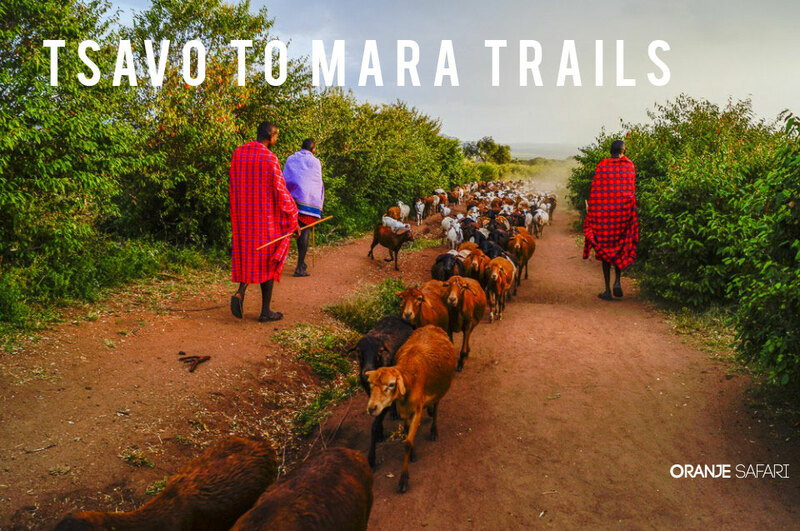 In Tsavo West you find wide open plains, grassland, Savannah and mountain ridges alternate with in the north the Ngulia Hills, steep cliffs with high peaks that dominate the landscape. If you come in the rainy season, then this park is a green oasis. This park has beautiful hilly landscape. You will have Lunch at the lodge before proceeding for an evening game drive with visit to Mzima springs which is the freshwater source for Mombasa city. Early breakfast then game drive en route . Depart for Tsavo west and drive approximately 2 hours to Amboseli. We will have a Game drive to the lodge or camp. You will have Lunch at your accomodation. After lunch relax up to 1530hrs then embark on an evening game The park is famous for being the best place in Africa to get close to free-ranging elephants among other wildlife species. Other attractions of the park include opportunity for spectacular views of Mount Kilimanjaro. At around 1830hrs proceed back to the Lodge for dinner and overnight. Day 3 From Amboseli to Naivasha. Start with Early Breakfast and check out, game drive in Amboseli before leaving the park and driving approximately five and half hours to Naivasha. You will have Lunch at your accommodation. After Lunch Relax before going for Boat tour at Lake Naivasha. On the boat tour you will equally go on a game walk at the crescent island. Crescent island is Located at Lake Naivasha Kenya in the Great Rift Valley. It is simply one of the most beautiful parks in Kenya, often considered Naivasha’s best kept secret. It is private, secure and patrolled by Guides who can accompany anyone who wishes for guided walk. Surrounded by water, it is actually a peninsular and is accessible by boat from East or West. There are more animals per acre than any other Kenyan Park, hence many film companies have been to the Island to film the herds of Wildebeest, Waterbuck, Zebra and Gazelle. The sanctuary is not fenced to allow the wildlife on the mainland to come in as they lose their habitat to development and the ever increasing population. Hippo graze all over us at night then sleep under the acacia or rest in the water by day. The giraffe who were born on the Island return to give birth; sometimes you see three generations at a time. Hyena come to hunt at night but are not resident on the island, the many python that do live here can be seen occasionally with a kill. Groups of Buffalo come and go but they are always monitored. At approximately 1830hrs proceed back to lodge for Diner and overnight stay. Depart from your 4 hours drive to Masai mara arriving in time for Lunch. At 1545hrs proceed on an afternoon game drive in the famous masai mara game reserve where they have been some 95 species of mammals, amphibians and reptiles and over 400 birds species recorded on the reserve. Other wild game you could spot on your safari include hippopotamus, cheetah, Grant’s gazelle, impala, topi, Coke’s hartebeest, giraffe, Roan antelope and the nocturnal bat-eared fox. Morning game drive before breakfast. After breakfast mid morning game drive then lunch. After lunch relax before going on the afternoon game drive at 1530 hrs. At 1830 hrs proceed back for dinner and overnight stay at your accommodation. Early Breakfast then check out with a game drive en route drive to lake Nakuru national park arriving at around noon for lunch at the accommodation of choice. After lunch at 1530 hrs go for An afternoon game drive looking for hundreds of flamingos and other birds. At Lake Nakuru game park the water-covered surface of the lake occupies about a third of the park. The lake water supports a dense bloom of the blue-green Cyanophyte Spirulina platensis from which it derives its colour and which is the major food source for the flamingos. Over 400 species of birdlife have been recorded at the lake, making this yet another of Kenya's major ornithological sites. In addition to the birdlife, the park is home to herds of buffalo, waterbuck, impala, Rothschild giraffe, and leopard. A defined area of the park has now been designated a rhino sanctuary making Nakuru the best park in Kenya for seeing Rhino. Morning breakfast game drive then depart from Lake Nakuru and proceed back to Nairobi. During your visit to the Masai Mara you have the chance to stay at Main Governors Camp !